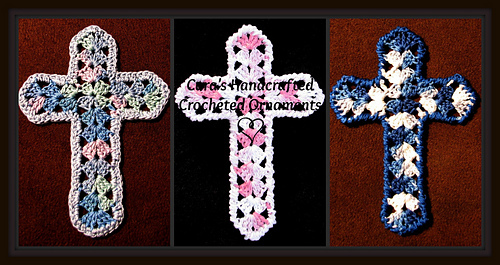 These cross ornaments make me smile every time I make one, and I have been making them for about 30 years now! Over the years I have tweaked and perfected my pattern, and have developed several different edgings to make each one unique. I include instructions for 4 different edgings in the pattern. 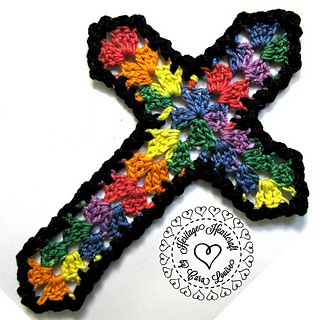 These stained glass crosses are spectacular when worked in variegated thread, then edged in a complementing color, starched stiffly, and hung in a window to catch the sun. 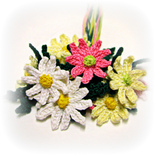 My pattern also includes my favorite starching method and instructions. These can also be made with solid colors, and/or finished with just a light spray of laundry starch to use as a bookmark. This is a fairly easy pattern, with dc and ch stitches mostly, and a couple hdc’s at the corners. 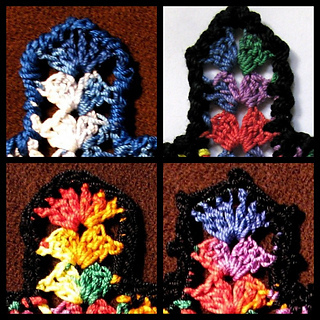 The edgings given range from a simple sc stitch to a more advanced but optional reverse sc stitch.